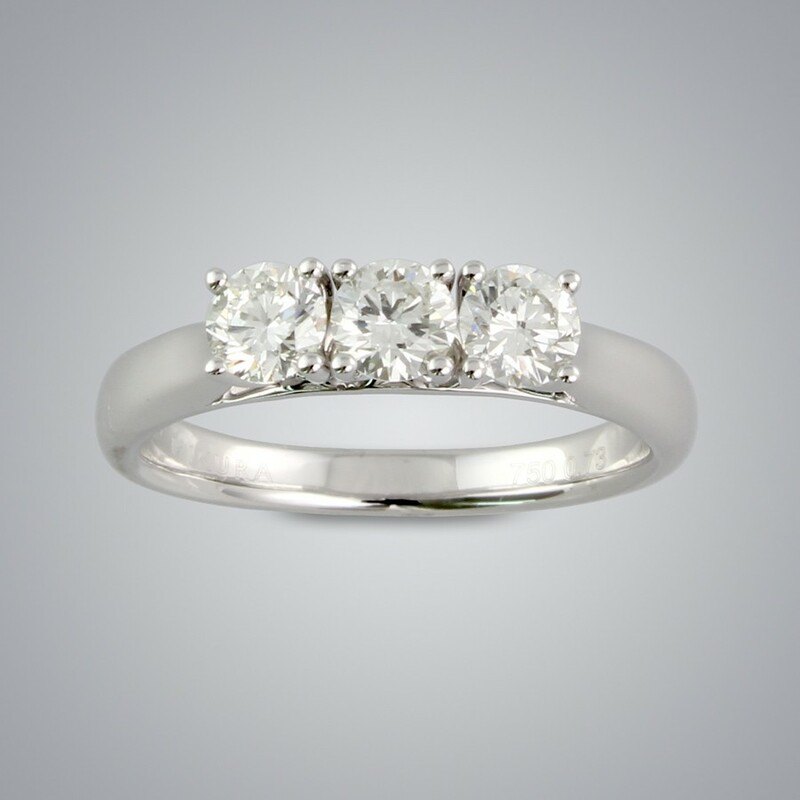 Diamond Ring with 3 diamonds, 0.73 carats, SI Clarity and G color set in 18 Karat white gold. 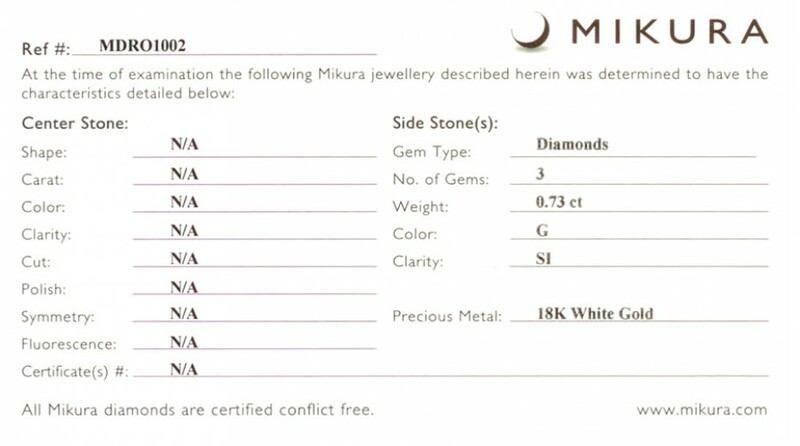 A Mikura certificate also accompanies the ring certifying the side stones. 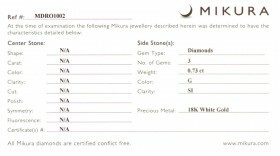 The ring has a US standard size of 6.25 and can be sized as desired by selecting from the drop down options below.